In 1900 only 18 states [including future states] registered vital records. It was not mandatory in all of those, but it was encouraged. Thus you might find vital records in Vermont back to 1779, Massachusetts 1842, New Jersey 1843, Connecticut 1859, Hawaii, Rhode Island and Virginia 1853, Delaware 1861, Florida 1865, Michigan 1867, Arizona, Iowa, New Hampshire, New York 1880, Illinois 1887, Maine 1892, North Dakota 1893, Maryland 1898. Illinois did not mandate the registration of vital records with the state until 1916. Marriage records were always kept but birth and death were not. Logan County has marriage records back to 1857 but marriage records also exist for 1820-1839 under Sangamon County at IRAD. The only missing records are those for 1839-1856 due to the courthouse fire. Logan has sporadic birth and death records dating to 1878. Probate records go back to 1855 and, again, there are earlier records at IRAD. Deeds go back to 1829. Court records date to 1857. Initial land purchases from the beginning are at the Bureau of Land Management. 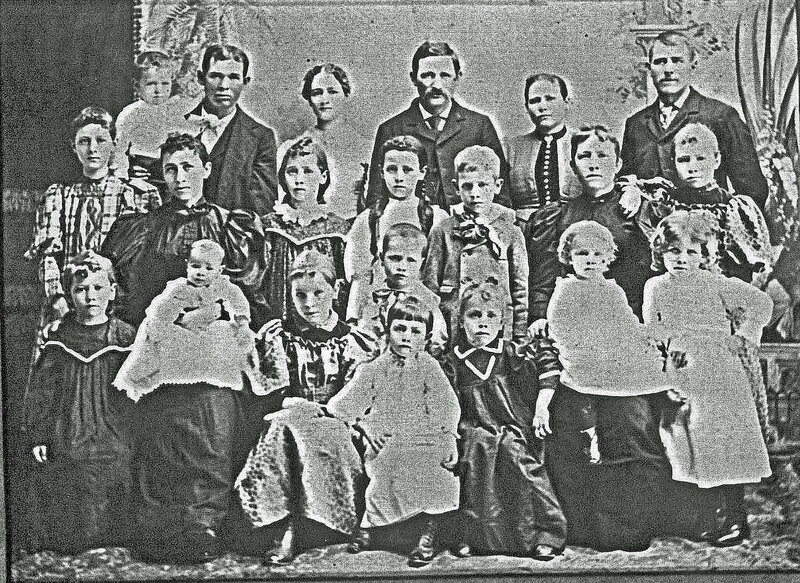 The 1855 Illinois State Census for Logan County exists as well as the federal census records for all years. There is also the 1862 Military Census. Remember that Logan County is covered in the 1830 Sangamon County federal census. Census images for 1830 Sangamon, 1840 and 1850 Logan are online free along with lists for the 1855 Logan County state census and the 1862 military census. Go to the Logan County ILGenWeb site for links. Cemetery lists for many cemeteries are online at the Logan County site. The Decatur Genealogical Society has cemetery listings made in the 1960s and early 1970 for most cemeteries in books which they sell quite reasonably. The Logan County Genealogical & Historical Society has some cemetery books and several history books with name indexes. Last year I scanned all the paper. Bits and pieces keep showing up but, for the most part, I am current on scanning my documents. See Ancestor Hunting if you are interested in the details of how I did it. Pictures are another story. I mentioned late in the series that the pictures were not done. They are still not done. In the interim one of my brothers [who never used a computer until very recently] has taken all the pictures he had and scanned them. Yes, he put me to shame. He has the same problem we all do — we don’t know who a lot of these people are. If the picture is from my lifetime I can make a pretty good guess and probably find someone who agrees or recognizes themselves. Before that it is a guess. It may be an educated guess but it is often a guess. Further, others may disagree and there is no way to determine the truth. I need to work out some details [posting multiple pictures is not my greatest skill] but I think I will do it. If it works maybe other pictures can be added. So I was thinking, almost all of my pictures came from Logan County so maybe posting them on a web site with a Logan County connection will help identify some of them. Maybe it would encourage me to get cracking on the scanning too. In the interim, do you know these people? 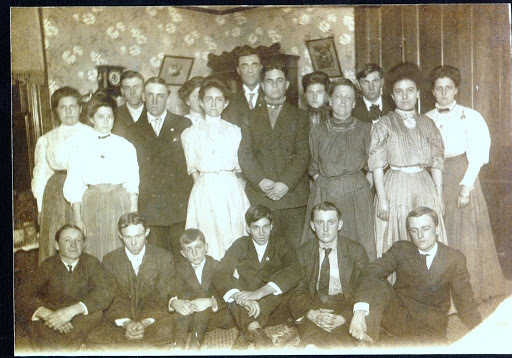 I know a couple people so I can safely say it is about 1905-1909.